1969. The Who release their seminal album ‘Tommy’, a ‘rock opera’ concept album concerning the titular “deaf dumb and blind kid” who we all know from Pinball Wizard. It was a breakthrough hit for the band - only furthered by their performance at Woodstock the same year – that paved the way for future rock bands with its harder sound, and broke away from the pop norm established by the Beatles. Its legacy has proven to be hugely influential. Cut to present day and an early 90s Broadway musical based on the album is being revived in London twenty years after it was first seen here, forty years after the film also based on the album was released, and fifty years since The Who were established. But does it really evoke the spirit of the band and of the album? The Who first blasted onto the pop scene with the rebellious My Generation, but the only act of rebellion here is the disregard for storytelling. 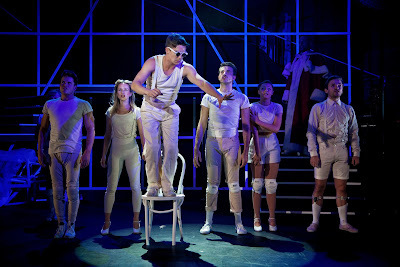 The show follows the same (loose) ‘plot’ as the concept album, using the same songs in mostly the same order (with plenty of repetitive reprises). It follows the life of the eponymous pinball wizard: traumatised into a state of psychosomatic catatonia after witnessing a family murder, molested by his uncle, and bullied by his cousin, Tommy discovers a talent for playing pinball. Soon he finds fame which evolves into a bizarre cult. It’s understandable that in album form this story would be told in an abstract manner, but theatre audiences expect more. Here, the plot is hinted at through strange lyrics, stunted dialogue, elaborate dance routines and (of course) music, but it’s mostly left for the audience to decipher any form of meaning or feeling towards the characters – if indeed there is any at all. One of the major criticisms of the album is that whilst the songs may work individually, the overall narrative arc doesn’t always flow. The same can be said here. Translating the plot from one artform to another requires more than has been offered here – the story deserves to be fleshed out and visual spectacle would provide aesthetic interest beyond the barebones staging, simple lighting and white-washed costumes. Equally, the abstract storytelling proves more enticing than a standard jukebox musical, it’s just underdeveloped. Settle into the groove of the show, though, and there are some intriguing individual numbers. 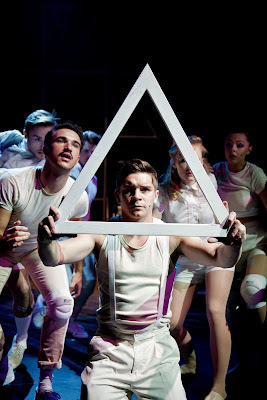 That’s largely down to the talented cast who perform with the high energy and strong vocals the music demands. It’s certainly better suited to male voices than female, but the impressively piercing tenors of Ashley Birchall (Tommy), Giovanni Spano (Cousin Kevin) and Danny Becker (ensemble) in particular more than fit the bill. The choreography is sometimes frantic but always exciting. The cast are let down by the band, however. The Who are known for the high volume and distorted guitars that since became standard practice for rock bands, with guitarist Pete Townshend and drummer Keith Moon regularly smashing their instruments. Here the on-stage band sound far too polite. Sure, they aren’t meant to distract from the performers, but the music fails to live up to the band, lacking flair and bite. Watching the guitarist mime smashing his guitar at the very end post-bows sums up the show – this is The Who, but not as we know them. 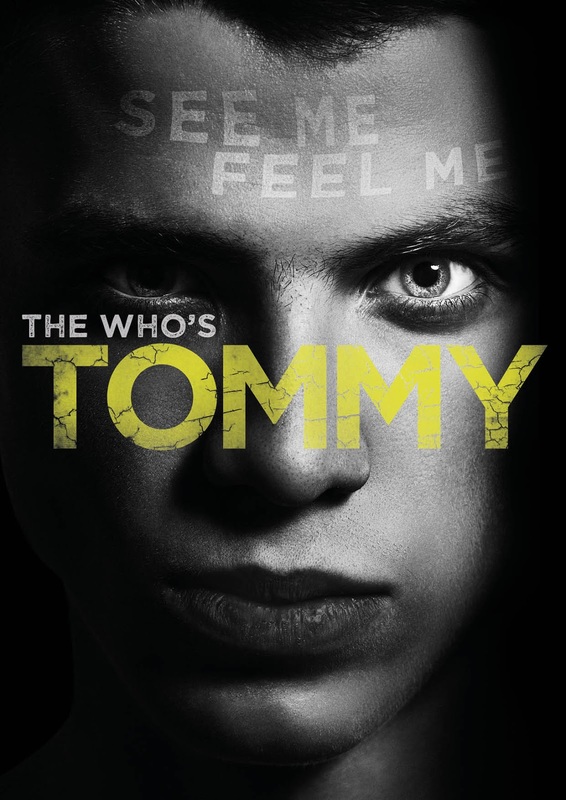 Watch: Tommy runs at the Greenwich Theatre until 23rd August.